December 13, 2013  The agency is launching a new coordinated research effort to stop citrus greening, a disease imported from Asia that turns fruit bitter and unmarketable. It first turned up in Florida eight years. 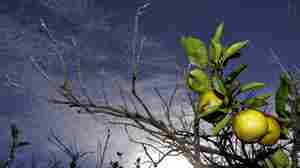 Now, it threatens to destroy the nation's citrus industry.